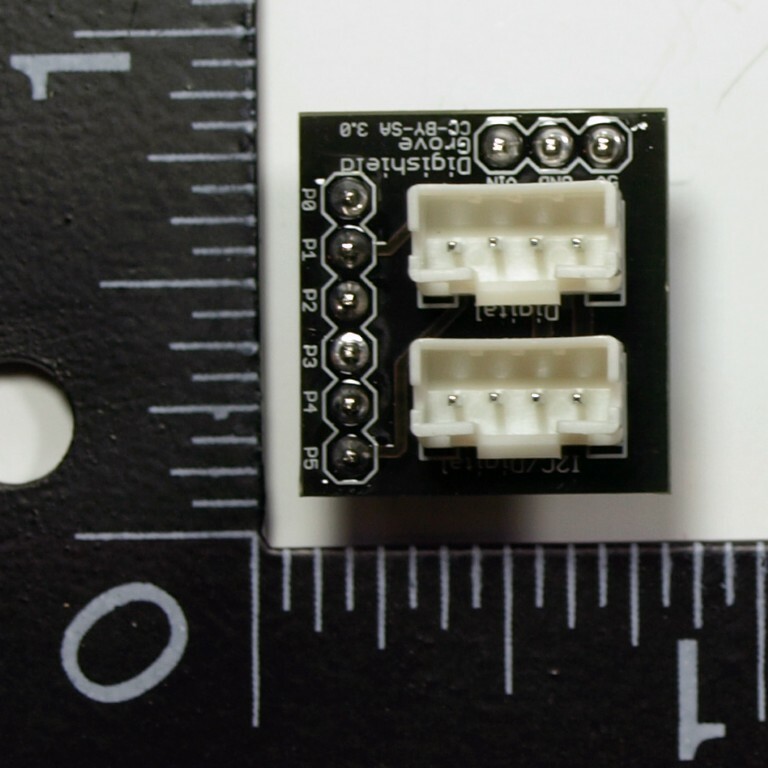 It has come to our attention that the currently shipping grove cables from seeedstudio may have ridges which prevent them from fitting into the connectors on this board. We are doing all we can to decipher the issue and find a solution. In the meantime we suggest shaving off the two ridges (which will be obvious when you try to plug the cable in, so that they can fit. We apologize for an inconvenience this may cause. 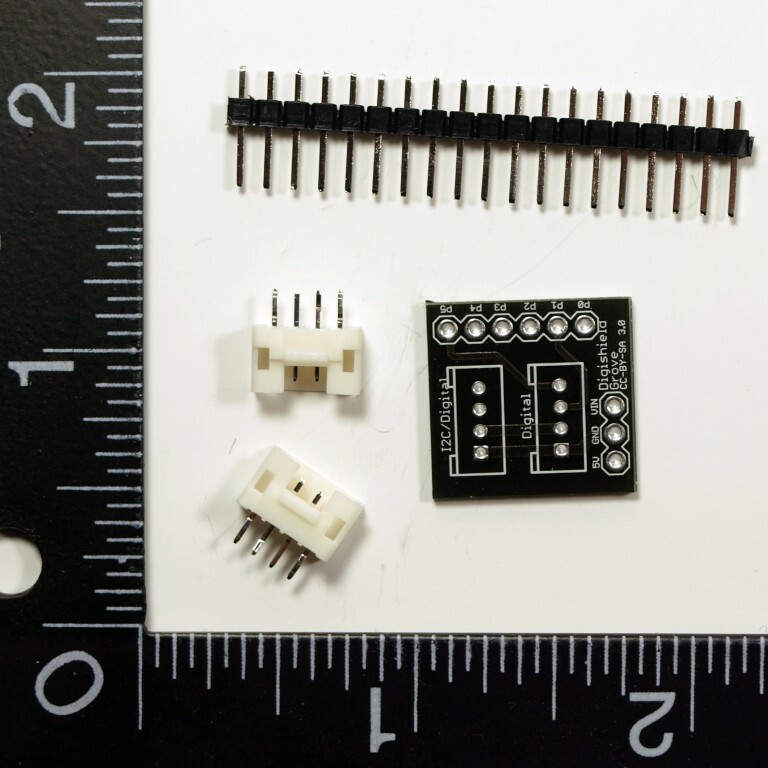 Insert the two connectors into the top of the board as shown and solder each pin. 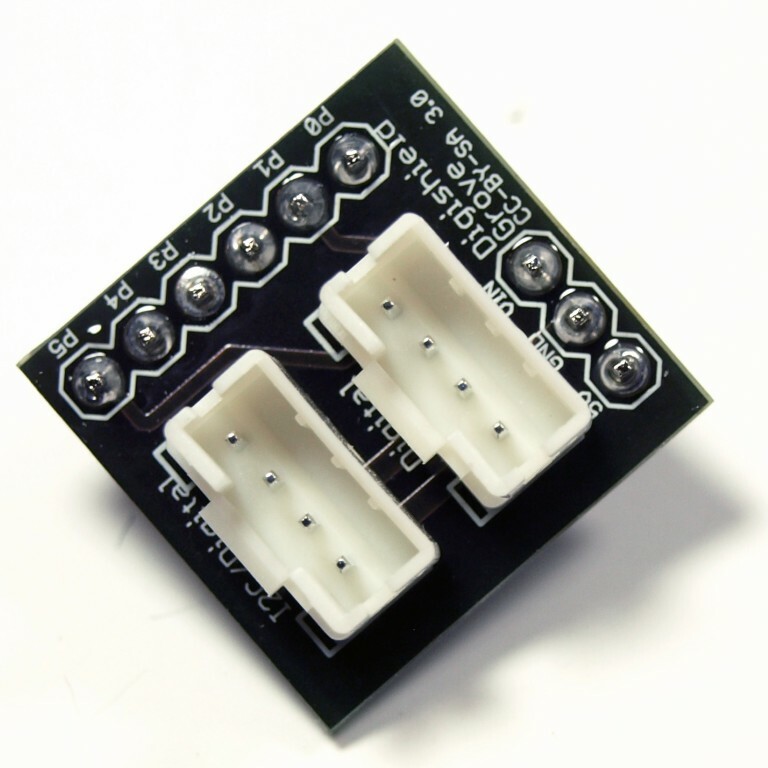 Please refer to the sample code provided by the sensor or module you will be attaching.